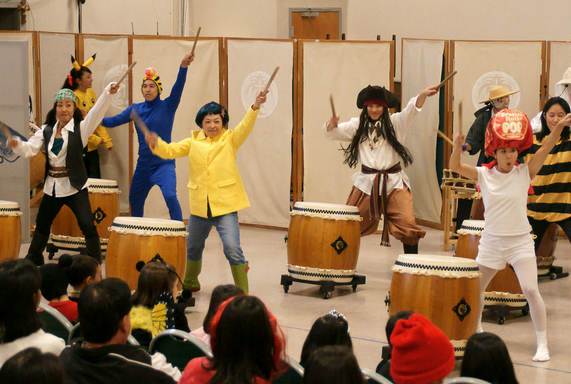 SAN JOSE — San Jose Japantown’s annual Halloween celebration will be presented by San Jose Taiko on Thursday, Oct. 31, from 5 to 7 p.m. This event is free, appropriate for all ages, and open to the public. 5 to 5:30 p.m.: San Jose Taiko performance at Wesley United Methodist Church, 566 N. 5th St. (near Jackson Street). Safety presentation by San Jose Taiko and Sgt. Gene Ito of the San Jose Police Department. 5 to 7 p.m.: Trick-or-treating in Japantown. Merchants will be giving away treats to all kids in costume. Trunk-or-Treat from Wesley UMC parking lot on 5th Street. Take photos with J-Town Halloween Drummers (San Jose Taiko) throughout Japantown.